It seems everyone in the technology industry is looking to 2010 with high hopes, especially the folks in the video game realm. 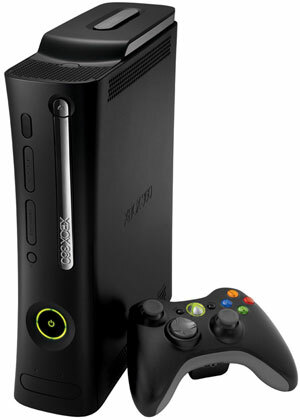 Aside from December–which actually had outstanding video game and gaming hardware sales–2009 gave the gaming industry a 8.6 percent slip in video game sales, a 23 percent decline in sales for computer (PC) game software, and a 10 percent fall in console and portable software sales. In simpler words—the gaming industry took a sledge-hammer to the heart via 2009’s economy, crushing the dreams of future gamers and hampering the release of many big name titles. But that was then and this is now: With a new year upon us and the industry’s top analysts assuaging our future fears, we can rest assured that 2010 will have a far better outcome. Pachter says there’s bound to be compelling content released almost every month in 2010, with Mass Effect 2 this month, BioShock 2 next month, God of War the next, Splinter Cell the next, and Gran Turismo after that. In utter agreement, Jesse Divnich, Vice President of Electronic Entertainment Design and Research, claims 2010 is definitely on track to outperform 2009 with hot titles and quality entertainment. The entire year will be packed with new and exciting titles, gaming accessories, and technologies that are raising the stakes for developers. If you were bummed about Sony’s Motion Controller being put on hold until Fall 2010—chin up, avid gamer—Divnich says there will be plenty of appropriately matched titles to boost excitement around the new release date. Another boost for the video game realm in 2010—or so we’ve heard—will be Apple’s new tablet PC. Reports of the device being a multimedia fanatic and the new beast of the mobile gaming market have poured in from all over. Apple has found ways to excel in mobile gaming due to its iPod touch and iPhone platforms—and we can only imagine what new innovations the Apple tablet will bring to the table. Pachter and Divnich also foretell of a better year in mobile gaming, although that sect of the industry took the least blows. 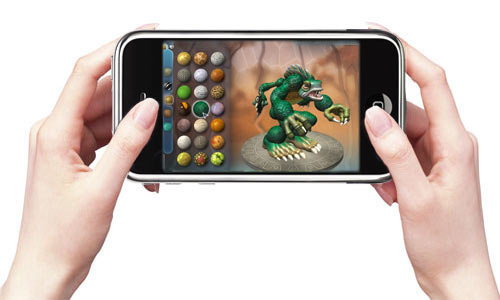 Last year, mobile devices such as the PSP and Apple’s iPhone/iPods put up some staunch competition within the gaming industry and gave non-mobile game developers a quick scare. The Apple tablet will not be some “ultimate gaming device” that can put up a challenge to actual consoles, but it will add a new flavor to gaming mix. “It’s not just the availability of those new [mobile gaming] technologies that raise the stake for developers; it’s their convenience that makes the space more competitive today than in previous years,” says Divnich. Another newly competitive area to get some attention in 2010 is online gaming. Our in-house video game industry analyst, Scott Steinberg, says we will be seeing some “tremendous innovation” from Facebook, MySpace and other “free-to-play” online gaming mediums. This new development in gaming has filled that “casual gaming” void and relieved many gamers’ pocketbooks this past year. Steinberg says that, if anything, these online games have helped build the grandiose gaming hope for 2010, because they pushed game developers to challenge themselves with more compelling content. In the end, it comes down to what unique and quality games developers can and will provide for game-hungry consumers. Steinberg reassures us that 2010 will see “tremendous evolution across the board” with lower price points, new gaming devices, and fantastic new titles that will provide the uniqueness and value today’s gamer needs, possibly taking the field to the next level.